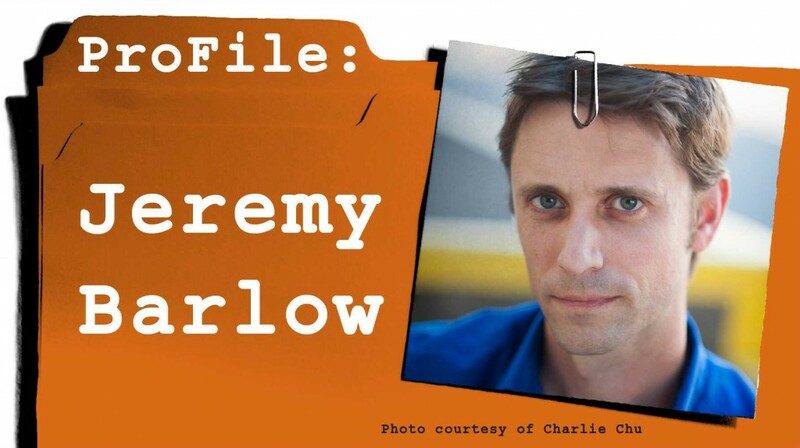 Jeremy Barlow is an Eisner Award nominated writer and editor whose graphic novel credits include Mass Effect Foundation,Dethklok: Metalocalypse, and R.I.P.D. City of the Damned. He lives in Portland OR, and is a member of famed Periscope Studio. What made you decide to work in the medium of comics? Comics have always been my first love. I grew up reading whatever comics I could get my hands on, and that passion has carried through my life. There’s something about the way comics work on your brain that’s totally unique; how the visuals and the text interweave, how your mind creates motion and context in the juxtaposition of static images — it’s like a magic trick. A great graphic novel can punch you right in the heart. What part of the process is the most challenging or frustrating to you? The stupid, unjustified self-doubt. Despite all I’ve accomplished, I still approach every new project feeling like I have no idea what I’m doing, that I’ve forgotten how to write a script, that I’m gonna blow it and it’ll be the last job I ever get. Typical impostor syndrome. I know it’s not true, and I always push through it to get the work done, but, man — it wastes a lot of time. Beyond that, my professional life would be so much easier if I could draw my own stories. Working in a visual medium without a visual skill set is a little bit crazy. I have stories I’m burning to tell — and I can see how great the graphic novels would be if they existed — but without an artistic partner to help me execute them, they’re just folders on my hard drive. It’s just a fact of being a writer in this medium, and I’m not alone in it, I know. It’s all worth it when you do finally establish a collaboration and put it all together. It’s totally worth it. If you could give one piece of advice to an aspiring comics creator, what would that be? Give yourself permission to be terrible. For a while. Getting good at anything takes time — you have to put in the hours and get the crap out of your system, because we’re all terrible when we start out. I know when you’re starting out the drive is to make it a career as soon as possible, but you’re better off in the long run to spend the time developing your voice and your point of view. And the only way to do that is to do a lot of crappy work and to learn from your mistakes. God knows I’m still learning. It’s okay for your first drafts to be awful. They should be! No one’s going to see it, so stink it up! Because no one gets it right the first time, and the real magic happens when you’re editing or revising your work, so just get it out. You can’t fix something if it doesn’t exist. However, don’t lean on that on an excuse not to up your game. It’s okay to start terrible, but don’t stay there!